The following table represents our standard listing of Pulse Energy/Detonation (Fuze) capacitors produced from our proprietary N2200 dielectric formulation. In addition to the below listed standard case sizes, WCI is ideally situated to custom fabricate alternative size, thickness and/or voltage ratings per individual requirements. Should you not find what you are looking for please call the factory. Our high reliability line of N2200 capacitors are specifically designed to withstand the rigors of single or multiple pulse firings. 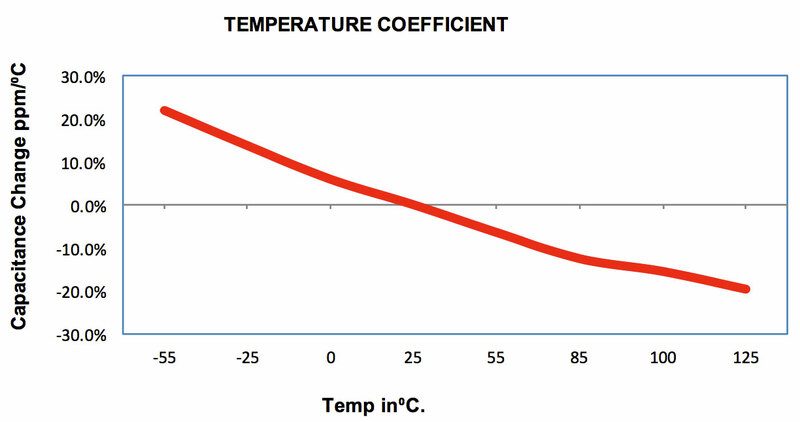 A temperature coefficient of 2200 PPM is standard and typical results are detailed below. Common applications include aerospace, defense, pulse energy detonation and higher end consumer needs requiring a greater degree of safety/reliability not usually found in “cots” parts. 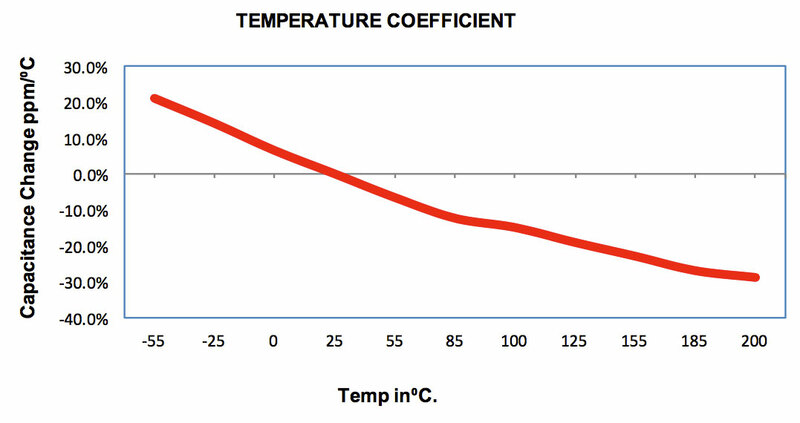 Dissipation Factor: 0.15% max at 25°C.